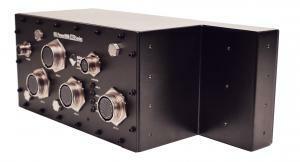 WALPOLE, MA, USA, April 16, 2019 /EINPresswire.com/ -- United Electronic Industries (UEI) today announced the UEI-HUMS1 in-flight health monitoring system has been released for production delivery to Tyonek Global Services, and subsequent installation onto USAF aircraft. The unit recently passed DO-160 certification as required by the USAF for deployment on the Bell UH-1N Huey helicopter. In addition to the DO-160 tests, the system has already passed the requisite MIL-STD-810 testing for use on the aircraft.